The energy demand for the water and wastewater industry is approximately 75 billion kilowatt hours per year, or about 3 percent of the electricity consumed in the US.1 Specifically, the aeration process at most wastewater treatment plants account for the largest amount of energy consumption, and is as much as 40-60% of the plant’s total energy usage. “Turbo blowers are a significant area of innovation in blower design offering energy savings for the wastewater industry,”2 according to a recent EPA citing which also reported, “increases in energy costs for the wastewater industry.” Additionally, the EPA suggests “Equipment upgrades and operational modifications to reduce energy should not be one-time events, but should be incorporated into a comprehensive energy review and management strategy.” Not surprisingly, turbo blowers have gained rapid acceptance in the wastewater industry over the past 3-4 years at large plants, but have not been affordable for smaller plants. 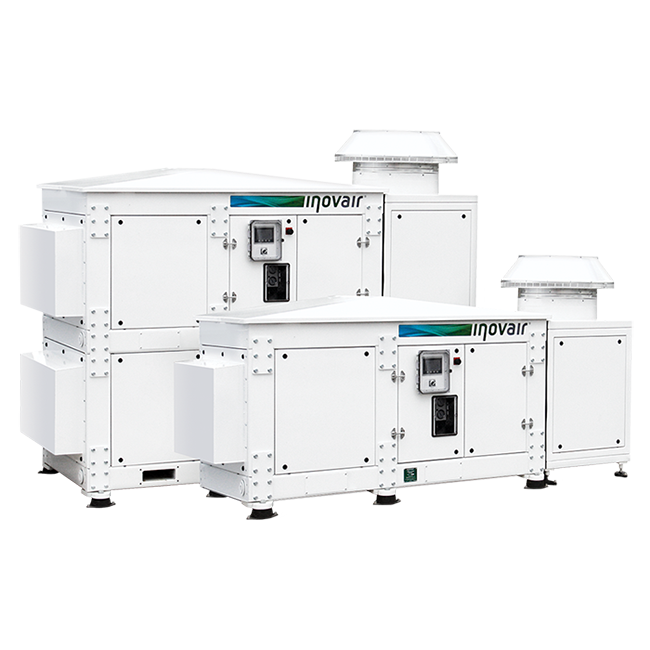 Inovair offers solutions for the smaller plants to significantly cut plant energy usage, offer improved functionality and intelligent controls which results in thousands of dollar savings in operating costs. 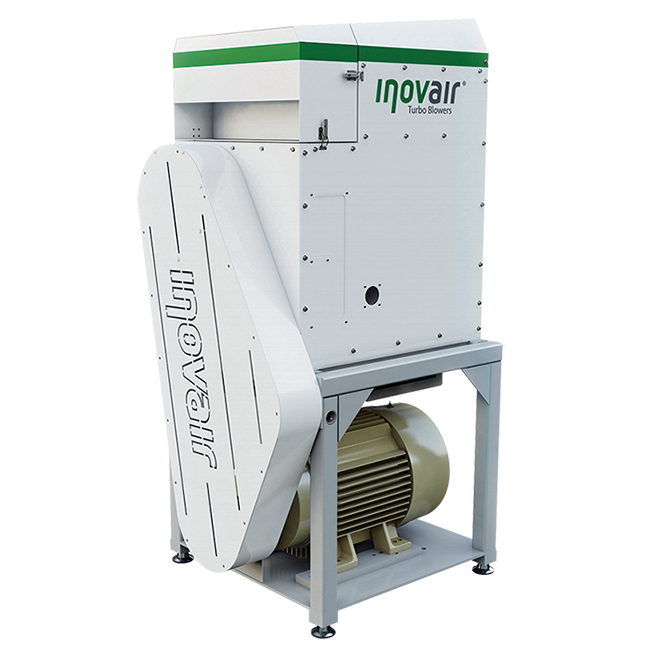 Inovair’s line of Turbo Blowers offer 10-40% energy savings and a significant increase in efficiency over the traditionally used multi-stage blower or positive displacement blower equipment within the wastewater industry. 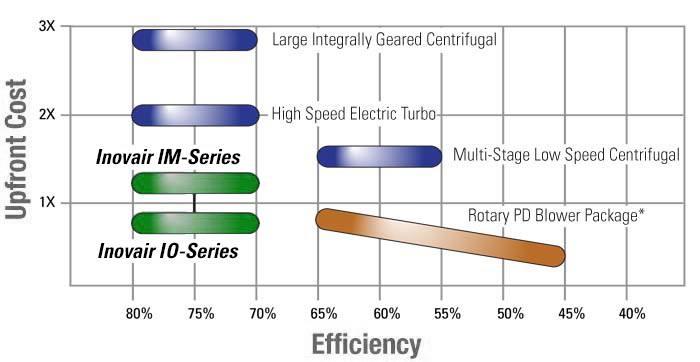 Relative to other modern single stage centrifugal/turbo technologies, Inovair turbo blowers offer comparable or better efficiency at a more economical price, with less complexity and greater reliability. 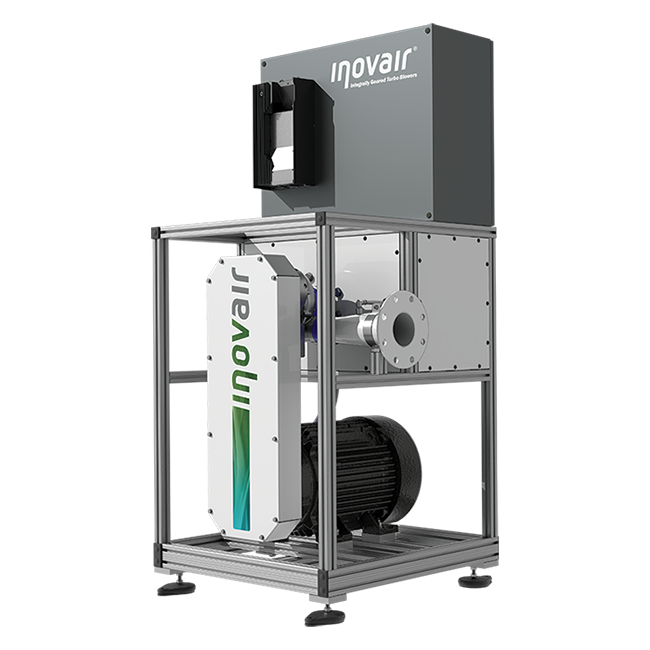 With the IM and IO Series of compact, high efficiency, integrally geared blowers, Inovair delivers an affordable solution which substantially reduces a wastewater plant’s total energy costs. 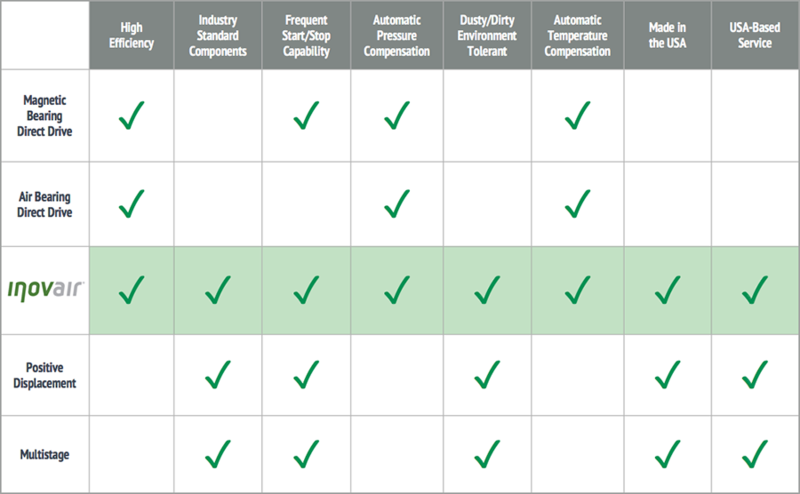 The IO-Series offers the lowest cost per cfm, while the IM-Series offers an industry exclusive modular design and can also maintain operating levels of 75-85 dBA. 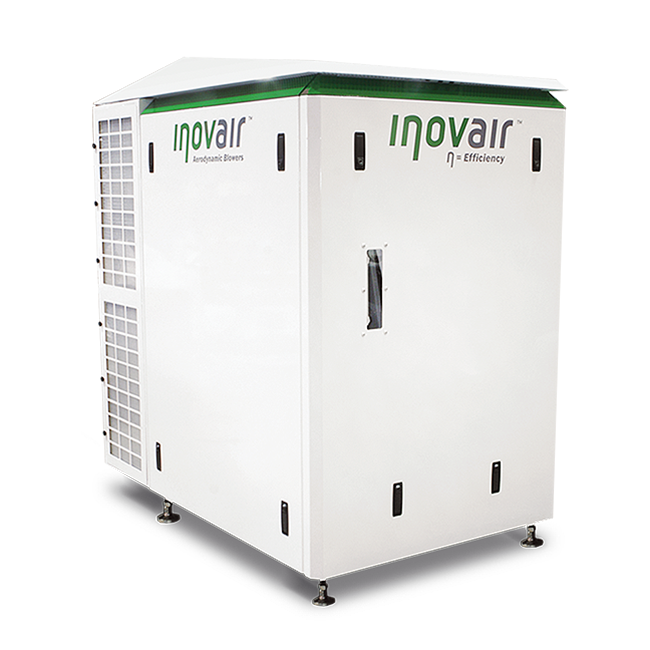 Both models have a compact footprint and offer a wide range of airflow demands with a broad turn-down for various aeration requirements. Intermittent duty blowers for flush water and back-washing are also available, see Intermittent Duty Applications. The larger capital expense of high speed blowers over PD blowers (roots blowers) has been the primary reason smaller plants have not been able to take advantage of the efficiency gains found with turbo blowers—until now.